Here it is. My #1 film(s) of all time. It took years of painstaking deliberation, hours and hours on end in front of the computer maddeningly shifting and adjusting a Top 10 list that was ever-changing in my mind. Just kidding. Making the list was rather easy, and deciding what film(s) would be #1 didn't even take a moment of further thought or a second of hesitation. What was difficult, however, was leaving films near and dear to my heart off the list. But such is the nature of the beast, and with a measly 10 spots to fill, it really needed to contain the best of the best, the films that have helped shape my cinematic identity, create my eager passion for the true Art that only the movies could deliver. This Top 10 isn't definitive, I don't think. Things change, attitudes change, and perspectives on a single piece of art certainly change. For now, though, this Top 10 - and my utlimate #1 - are the best representitives of what I cherish and desire in the best of film. Well, Persona came very, very close. For that, I can say only this: when something hits you a certain way, stirs your heart and mind and all that jazz, it’s hard to deny its place. And not only did the three Lord of the Rings films touch me and inspire my passion for cinema, but it kind of started the whole thing. It helps that the films aren’t just some childhood nostalgia trip for me, but bona fide masterpieces, all three. I include the entire trilogy here as one entry because let’s face it, this is really one long, epic film spread across 9+ wondrous hours. A little context here. 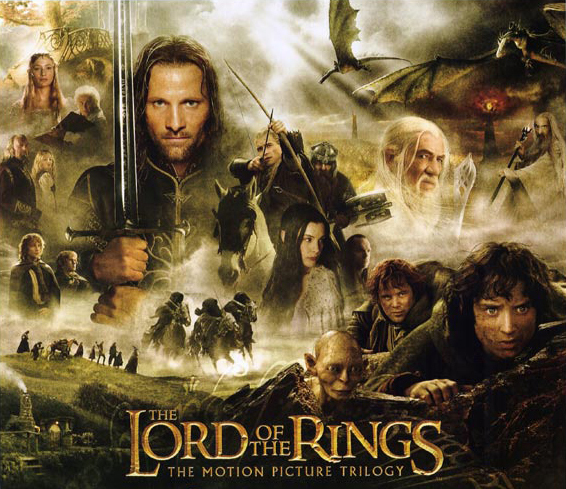 The Fellowship of the Ring opened in 2001. I was 10, and at that point, as you can imagine, I hardly put much importance on movies outside of their surface entertainment value. But sitting in that dark theater that particularly magical winter (lest we forget, the Harry Potter franchise also launched that year), I was struck by the enormous grandeur and fantasy of this unique adventure. The little hobbits. The elegant elves. The idyllic Shire with its grassy grooves and sun-kissed hills. The action; the mythology; the sweeping vistas and larger-than-life heroes. It was a fantasy come to life for a young boy, and I sucked up every last second of it in awe. It wasn’t just a one time thing. The following year came The Two Towers, which impressed me even more with its ramped-up battle scenes and the introduction of the gruesome, slimy Gollum, a visual effect I may have not even noticed was a visual effect at the time, for its ability to convince was one to nothing. The month of December became a sparkling, enchanting gift, as each successive one promised to bring a continuation of this beautiful and absorbing story. In 2003, of course, it ended. 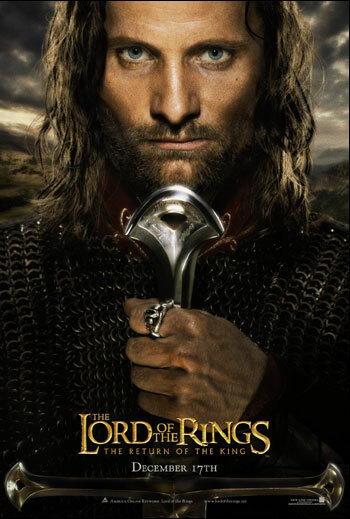 The Return of the King was a glorious close, such a grandiose conclusion that it could very well stand on its own without the other two parts as a single fulfilling, monumental achievement. It was duly rewarded the Oscar, 11 of them to be exact. So here, 10 years after the trilogy began, my love for cinema has grown and grown, and I at least partially attribute that love to the odyssey I was taken on through those amazing three years with The Lord of the Rings. The ethereal lands, the characters, the creatures, the story, the journey. This wasn’t your ordinary franchise. This was Peter Jackson, who through the project proved himself nothing short of a master filmmaker, commanding a set of films based on beloved novels and delivering on every single front with each one. “Epic” seems to be a word that has lost quite a bit of its power these days, but no word better applies to Jackson’s trilogy. Technically, thematically, and certainly emotionally, these films have all the elements of the perfect cinematic showcase. I should be so thankful I have a work of art I can connect with so indelibly and timelessly, the sweet, rousing notes of Howard Shore’s soundtrack reminding me of the moments and the wonder that can be given and received through the magic of the movies, from one generation to the next. This spot could be taken by a number of Bergman films. He is, after all, my favorite filmmaker, and in many ways this slot represents his entire oeuvre and all the things they’ve given me over the years. See this as Cries and Whispers. See it as Shame, or The Silence, or Fanny and Alexander. See it as an acknowledgment of a lifetime of films that together make up an immeasurably profound portfolio. With that being said, Persona is the one that really got me, sold me on world cinema, convinced me the art form had the power to explore dense, almost impossibly complex psychological themes. Watching this film for the first time, in the silent darkness, was like uncovering a cryptic human secret only Bergman somehow had access to. The story is very simple, yet at the same time completely enigmatic. A nurse (Alma) is tasked with tending to an actress (Elisabet) who has suddenly and inexplicably gone mute. They go away to a cottage by the sea where they can be in peace and quiet, where Alma can ostensibly deliver therapy to Elisabet and, perhaps, draw out some sort of understanding. But then something strange happens, slowly and unnervingly – their roles begin to reverse, not just superficially, but on a deeper and more intrinsic level. Alma and Elisabet come to seem interchangeable, perhaps exactly the same. You can read into this film on a million different levels. It is the best kind of art, one that is philosophically inquisitive, packed with meaning and interpretation, working on a scale that becomes larger and more macrocosmic the more it zeroes in on its subjects. 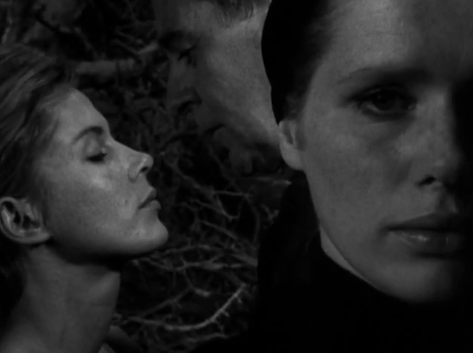 Equally as significant is its visual structure, comprised of magnificent dreamlike imagery shot in rich, dripping black & white by Bergman’s exquisite cinematographer Sven Nykvist. Whether you prescribe to the ambiguous, shifting nature of its ideas or not, the images alone create a striking masterpiece of shocking light and nightmarish shadow, morphing somewhere beyond the frame into one indecipherable entity. While the film itself burns and tears midway through, we are made aware we are watching a movie. A movie made around the malleable nature of personality, the creation of the psyche and the elements that project onto it – and become it. In this case, it is through a literal projector, the mind’s eye, revealing through itself notions that are intangible, yet ones it itself has created. If at the end the visage is broken, the truth in the art is infallible. It is cerebral, mysterious, existential; heady themes with no answers, infinitely frustrating to some, absolutely fascinating to me. Memorable, cathartic endings is a common theme that runs through all the films on my Top 10 list. From the hypnotic starchild at the finish of 2001: A Space Odyssey to the heartbreaking freeze frame of The 400 Blows' final shot, my favorite movies are usually ones that have haunting endings that linger in the mind long after the screen goes black. My #3, Nights of Cabiria, is my pick for the single greatest ending in cinema, one that combines all the gratifying elements of the film itself with the innumerable charms of director Federico Fellini to deliver the kind of spellbinding magic that elevates this kind of artwork to a whole new level. I think a movie's ending is easily one its most significant parts, and failure on the part of the director to effectively stick a landing can result in serious degradation of everything that came before. But when somebody gets it so right, so completely, breathtakingly, gracefully, flawlessly, ingeniously right, as Fellini does here, you feel like life has been made new again. 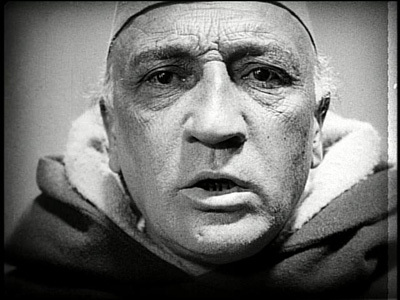 Fellini is one of my favorite directors, and this is his best film. He made movies like they were intended to be made - wildly visual, expressive, joyous, virtuosic, and teeming with life, using the format to convey great vibrancy even when his work was in black and white. Whether the subject was the circus or the decadence of fame, his style grabbed me from the start with its unique ability to showcase realistic human portraits through a baroque, whimsical lense. 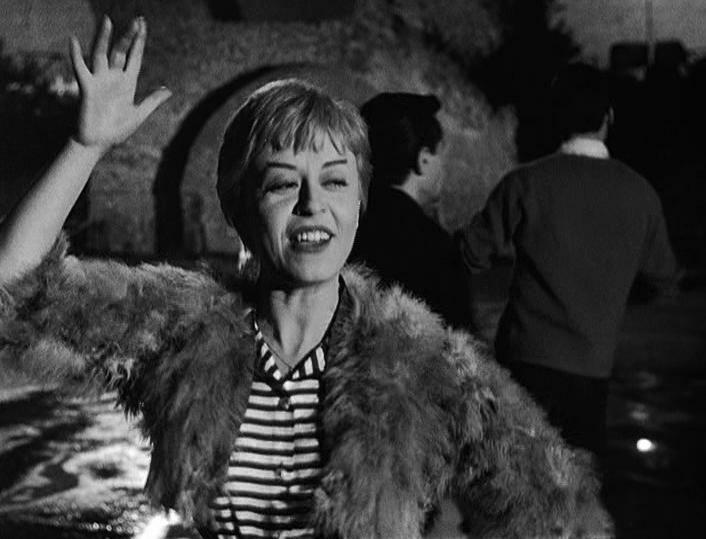 In Nights of Cabiria, the focus is on Fellini's wife, Giulietta Masina, who appeared in many of his other films. 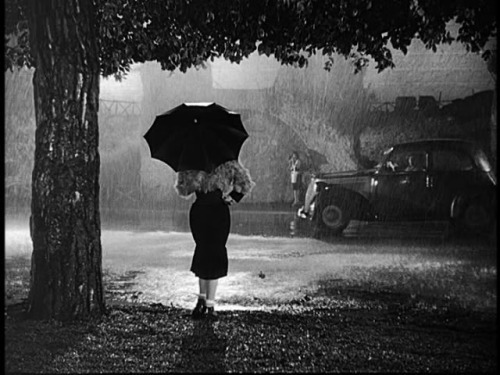 She plays Cabiria, a waifish prostitute strolling the streets of Rome while searching for love. She doesn't have such luck, however; robbed, neglected, and mistreated, a future with a loyal companion seems to be an illusion for her. But what's special about Cabiria is that even when she's shaken, she still has hope. 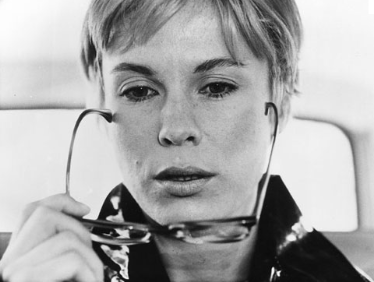 Her fragility is a source of much damage, but like other Fellini heroes she has an inner-spirituality and efficacy that manages to overcome the travails. Not to mention the character is utterly charming, a bubble of piquant charisma that places her firmly by our side at all times. When others see her as a nuisance, we would like to reach through the screen and hug her senseless. A scene late into the movie, in which she acts out her elusive dreams while hypnotized on stage, is a prolonged moment of melancholy that makes our feelings that much stronger. Masina's performance is a shimmering beacon of perfection. 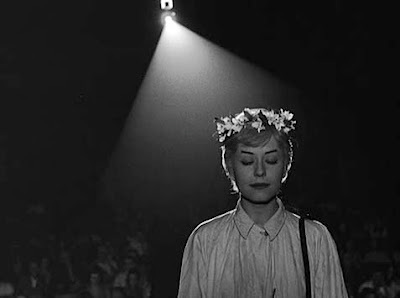 Unlike much of the director's later pictures, Nights of Cabiria is more intimate and more concerned with gentle humanism than large abstract canvases. Both kinds of films are fantastic - 8 1/2 is another favorite - but something about this one, and that kind of filmmaking, hits me the hardest. His sparkling whimsy applied to ordinary situations and ordinary people is just impossible to resist, and with Giulietta Masina at the center - that chirpy, cherub face resembling a wide-eyed baby animal - the end product is like pure alchemy. Add on that enchanting ending and you have immortality. And no, I will not reveal the ending. SEE THIS MOVIE! The 400 Blows is one of the most famous films from the enormously influential French New Wave. But where so many of the movement were rejecting conventional cinematic stylings for overly ambitious, esoteric radicalism (ahem, Godard), Truffaut was making movies that felt fantastically modern while still remaining grounded in old-fashioned humanism. 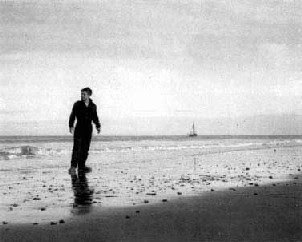 The clear best, for me, is his brisk 1959 coming of age tale, about a young teenage boy who revels in deliquency and petty crime. In many ways, and not only aesthetically, the film represents the burgeoning rebellious streak a new generation of kids were starting to seize upon in an otherwise staid 1950s, a theme that would be clearly and abundantly elaborated upon throughout the height of 1960s cinema. The film is imbued with the risk-taking, breathless wonderment of childhood, but balances it precariously on the rocky edge of adolescence and soon, the impending responsibilities of adulthood. Truffaut wrings a beautifully natural performance from the brilliant Jean-Pierre Léaud, navigating him through passionate juvenile ecstasies and then through brutally dispiriting punishments, a set of ups and downs no rollercoaster could match. What we ultimately see, though, is a curious child whose own dabblings in troublemaking and thievery conceal a tender confusion, someone lost between the naivete of childhood and the perplexing adult rules that are enforced without compassion. His actions are not to be dismissed, but Truffaut is more concerned with how they are, by a society that simply doesn't know how to deal with them. 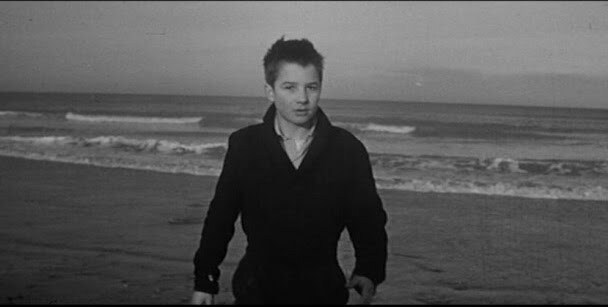 Everything about The 400 Blows is perfect. The chalky black and white cinematography is lived-in, the use of 2.35:1 aspect ratio rendering the ordinary positively cinematic. Movement of the camera is both classically simple and technically innovative, while the editing keeps a kinetic pace that seems all the more broken when the somber reality kicks in. Finally, the ending, a breathtaking culmination of the film's shattering verisimilitude, a long, steady tracking shot that follows our protagonist Antoine as he runs, and runs some more, stopping only when he cannot physically go further. The final freeze frame is one of the great closing shots in movies, a plea to the viewer seen through the vulnerable eyes of a child ignored by those whose job it was to raise him. If it sounds overly sentimental, it's not; what might have been an average coming of age story is left dangling at its bare threads, haunted and without a clear future. Kind of like life. Where has the time gone? I posted the last entry in my Favorite Films series back in November. It's now almost the end of February, and I'm just getting around to posting #5! Yikes. Apologies all around, I must say. Chalk it up to general laziness and other work getting in the way. But mostly laziness. Please forgive me? The greatest war film. The most grandiose action film. A haunted, dazzling, head-spinning abstract portrait of a psychological meltdown born from the dark heart of man. Apocalypse Now is all these things and more, a blistering masterwork by Francis Ford Coppola that topped off an unparalleled run of straight masterpieces throughout the 1970s that included the first two Godfather pictures and the superb The Conversation. Directing one of these films would render one a master; directing all four of them - in the span of eight years, no less - grants one the title of "genius." I was 14 when I saw Apocalypse Now for the first time. Up until that point I had not been exposed to the vast expanses of classic cinema, nor had I even discovered the wonders of films made before 1990 that weren't Mary Poppins or The Wizard of Oz. I could hardly have picked a better film to start off with; the hazy opening frame of palm trees set ablaze to the world-ending Doors tune "This is the End" immediately awakened in me a cinematic longing I had not been conscious of. The hot crimson flames obscured by thick clouds of napalm, the scene then overlays footage of Martin Sheen's curious, troubled eyes with a whirling ceiling fan, foreshadowing the sickening omnipresence of the helicopters that act as the mechanized killing machines to the equally barbaric human ones. There's almost no need to mention the film's centerpiece scene, one of the most famous moments in cinema, but it truly does amaze each and every time; the dramatic beats of Wagner blaring like a taunting siren of destruction as an army of helicopters lay waste to an entire village. The scene is an operatic act unto itself, a marvel of special effects, sound, editing, and cinematography combined in one epic propulsive movement. If it's even possible, the film only gets better from there, ending in an intoxicating, near wordless visual metaphor that signals both utter annihilation and a warped rebirth, sent back into the dehumanizing jungle of man's heart after a perilous journey trying to defeat it. 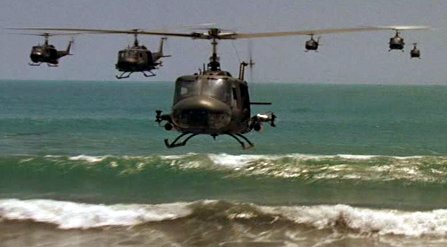 Apocalypse Now is not the most realistic of war films, but it doesn't try to be. This is something more ambitious and invigorating, more powerful and more timeless, a piece of work infused with the passion and gravitas of artistic expression at its most uncompromised. 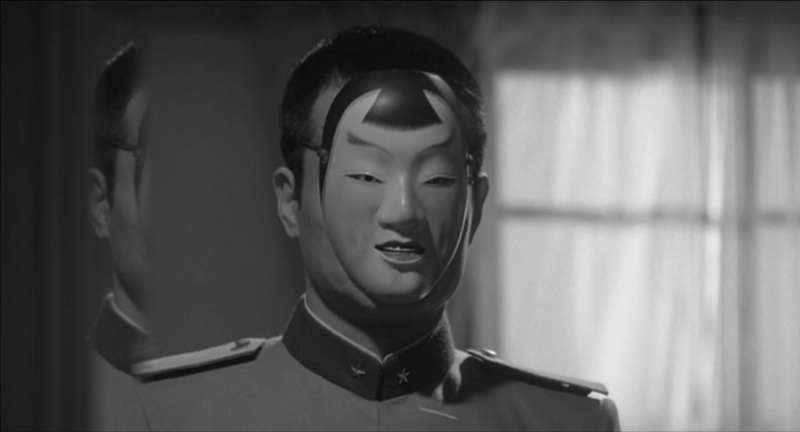 Mishima: A Life in Four Chapters is the prime example of film as an art form front and center, a joyous, kaleidoscopic salutation to moving pictures and their unparalleled ability to convey and elicit the most powerful of human emotions. It is spectacularly compelling, overwhelmingly forceful, a supremely innovative, endlessly original biopic investigating the mind of an artist… who he is hardly matters, but in this case he is the insanely brilliant and brilliantly insane Japanese author/playwright Yukio Mishima. Exploring his exhausted, contradictory, and impossibly searching psyche, the film weaves in and out of real life and imagination while illustrating in otherworldly bursts of color his famous published works. The visuals in this movie are unlike anything else, magnificently composed, flawlessly designed set pieces and aesthetics that build in exquisite structure before your eyes like rapidly evolving origami, taking on shapes and reproducing colors that form collage-like symphonies and spellbinding operatic movements. Topped with a transcendent score from Philip Glass, Mishima’s eternal desire to have his life imitate his art, and vice-versa, has finally become reality. It's incredible, and incredibly unfortunate, how underseen a film this is. This is startling visual power on the same level as 2001, for all I'm concerned, equally revolutionary and epic in its sprawling design, but even more revelant when placed inside the meta-context of the film as a piece of art about art. It is especially important to me as an artist, a testament to the influence and emotions one's work can summon, while at the same time making amply evident the universal struggle for complete artistic satisfaction in a physical world that always has its set limits. We live, we create, and we bask in all the glories, but Mishima understands the inevitable pain of transience - and at the same time reassures us that some things do and can last. This stirring, sensual film is an example, and anyone who cares about the form would do well to experience it at least once in their lifetimes. Wow, so sorry about the major lull in content there. Work getting in the way, etc. But here's the long awaited next entry in the series! My Favorite Films - #7 is finally here! 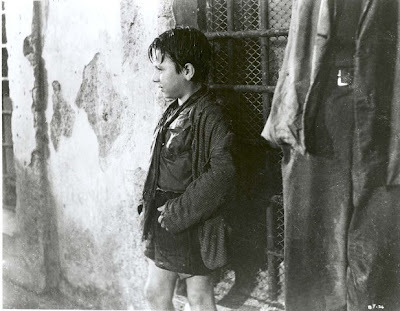 I don't think it would be hyperbolic to say few films manage socioeconomic and humanist themes as well as The Bicycle Thief (or Bicycle Thieves, depending on your preference). Set in a ravaged, depressed post-war Italy, and concerning characters who are all too relatable in their average everyman appeal, the movie comes from a popular wave of films known as Italian Neorealism. Simply put, Italian films made shortly after World War II focused on poor and/or working class characters, locating the poignant pangs of life with an unassuming eye for the ordinary. The Bicycle Thief, in my opinion, perhaps along with the director's own Umberto D., is the greatest work to come out of the movement. The story is spectacularly simple, and understated all the way through: a father, whose bicycle is integral to his newfound job, has it stolen on the first day and goes on a search for it accompanied by his young son. 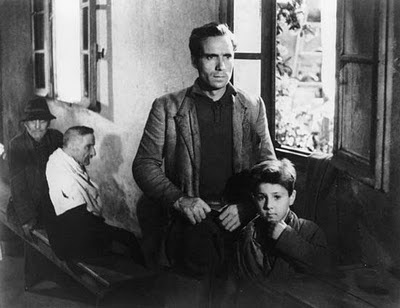 The relationship that ensues, and the portrait of the depressive economic state of Italy during the time, sets up an unforgettably beautiful record of the struggling working class, as well as a startling portrayal of human decency crumbling under a harsh societal climate. Making it particularly effective is indeed the central relationship between father and son, a rather conventional dynamic that nonetheless floors you with its elegant realism and softspoken melancholy. Dad is beyond despair, looking for his bicycle but gradually coming to the realization he won't be getting it back, and the way he must reconcile their dwindling hope to his son is heartbreaking. True to the movement's name, The Bicycle Thief is as naturalistic and underplayed as they come - no arm flailing, histrionics, or sensationalized speechifying here. Instead of heightened theatrics is something much warmer and more down-to-earth, a home-worn anthem to the average man filled with humility and pathos, and a document of genuine human life trying to hold on, by any means, during uneasy times. Filmmaking of this caliber and storytelling ease is extremely hard to come by. Catch up with the previous two entries here. It's hard to decide which is better, Lang's silent sci-fi classic Metropolis from 1927 or his dark, edgy criminal flick M. Both are products of the German Expressionist movement, and each shares a similar sense of brooding modern decay, highlighted by the sharp angles of architecture piercing the sky and the large, disorienting open spaces that house their characters. Both are tremendously integral parts of cinema history, and both are masterpieces. 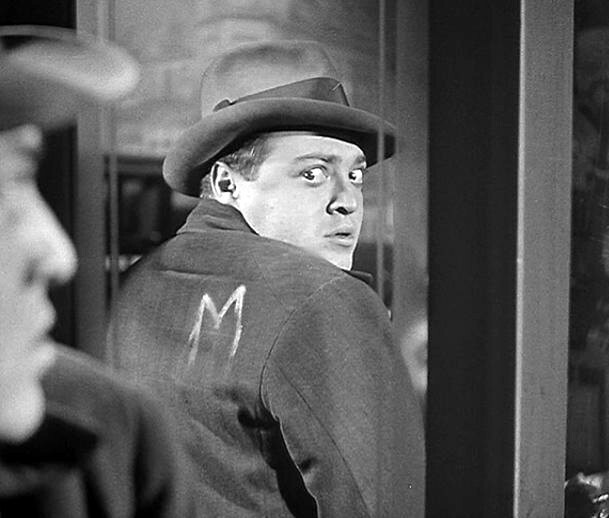 But for my personal Top 10 list, I settled with the brilliantly titled - and brilliant in every other possible way - M.
Centered with a performance from everyone's favorite creep, Peter Lorre, M is a standout entry in the crime genre. Lorre plays a psychopathic child-killer, the ominous tune of "In the Hall of the Mountain King" sliding off his lips whenever his target is near. He's a sinister presence, and glimpsed in the heavy foreboding shadows of Wagner's master camerawork, he turns into a devilishly slithering monster from beyond. With the whole city in chaos and the police desperate to find the man, the criminal underworld starts to see this as a major deficit to their business; they, too, group up to hunt down the killer stealing the spotlight. This chase to catch a particularly ruthless criminal, a chase led by criminals itself, presents a fascinating world through a muddy lense of moral ambiguity. 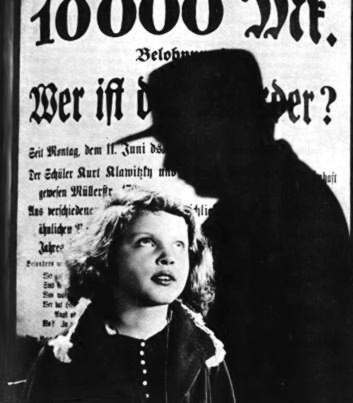 Made out of a prosperous German film industry at the end of World War I, M, along with other similar works of the time, examines themes of disarray and psychological hysteria with a thematic weight not yet known to Hollywood movies. 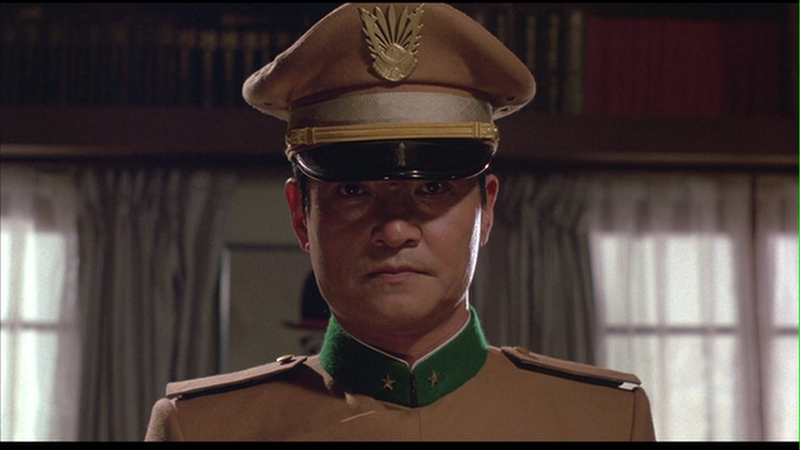 It is especially unique to watch Lang's film knowing the time it was released during, seeing a fairly straight-forward story but one told in a way where common ethics are purposefully distorted, the law enforcers no less demonized than the criminals. At the end of the picture, Lorre delivers a breathtaking monologue that for the first time lets us see into his battered, distraught mentality. We see the craziness that's swept over him, the rampant conflict and, finally, the effects of a society caught in an escalating loop of distrust. Simultaneously modern and tinged with gothic undertones, M ties together sensational filmmaking with strong relevant themes, boosting an already visually arresting work into one of timeless importance. Counting down my favorite films of all time. Cath up with my #10 here. I love silent films because they understand the power of an image without the need for stubborn or extraneous words. They rely on closeups of faces, dramatic camera angles, and unfettered visual dexterity to convey things that transcend the limits of spoken language. 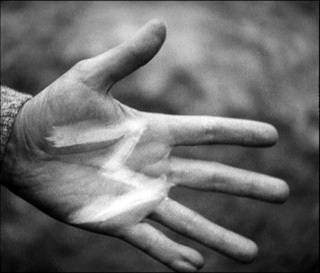 No film perhaps does this better than Dreyer's searing 1928 film The Passion of Joan of Arc. It remains legendary today for these very reasons. When I first sat down to watch Joan of Arc, I had no idea what to expect. I knew it was about the God-envisioning French martyr, and I of course knew it was about her trials leading up to her burning at the stake. But literally nothing could have prepared me for the galvanizing knockout punch it delivered, a raw, viscerally emotional film that nonetheless carries the hope of unwavering human resilience. Maria Falconetti - playing Joan of Arc with weary eyes that seem to pour out of her soul like waterfalls - is a wonderfully expressive face, and her performance has been rightfully heralded as one of cinema's most moving. Relegated to sitting in court rooms and dank chamber cells, she captures the devastating pain of her situation, her gaunt features looking more and more haunting and vulnerable the longer she's bombarded with accusations. Watching this film is akin to traveling back in time to the 15th century and witnessing the ordeals first hand; nothing about this film feels false or staged. In fact, experiencing Carl Theodor Dreyer's silent masterpiece feels like nothing less than uncovering a relic dug up from another age, still as impactful and artistically splendent as ever. As promised, I am going to start a countdown of my 10 favorite films (or at least as close and as satisfying a Top 10 as I've yet made). This is a process I find very difficult, and after several failed attempts at comprising a Best Of All Time list I have finally made one I feel mostly comfortable with. Of course, films had to be left off, and with only 10 slots there were quite a few that unfortunately could not make the cut. 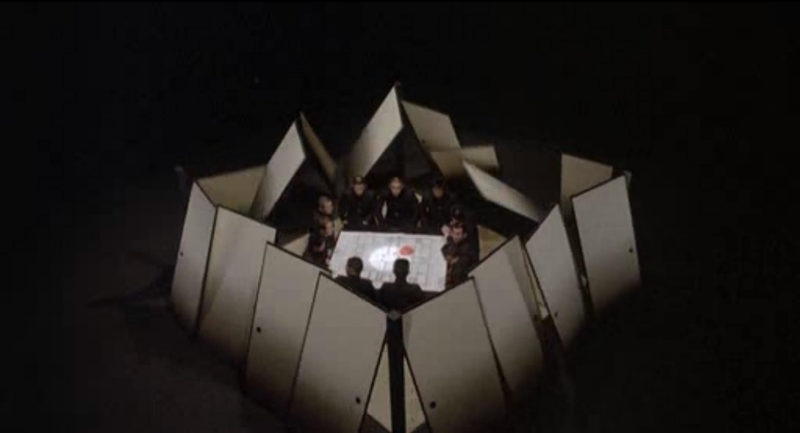 In 1968, Stanley Kubrick made a film that was as big and heady as any film that had been created yet. His characters weren't elaborate, his story didn't follow a conventional narrative, and his focus was not on humans, but on the entire universe - its past and its infinite future. Painting in methodical, abstract movements of color and shape, he managed to put forth a vision of worldly existence that was transcendent and eminently radical. Some saw it as boring, pretentious drudgery, others saw a hallucinatory odyssey that explored human life and the beyond as no other had ever done. In 1968, it was a Space Oddity. In 2010, it is simply one of the greatest pieces of art to emerge from the 20th century. 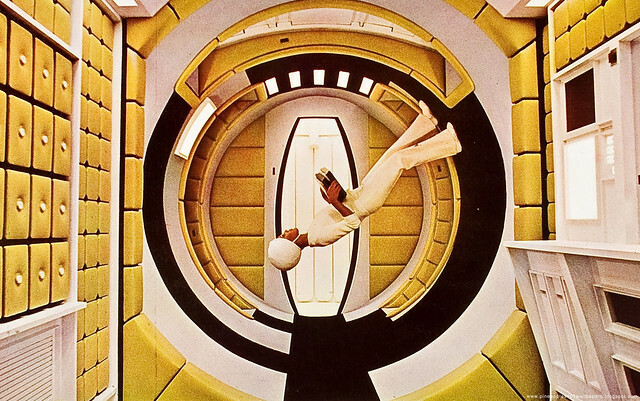 What makes 2001: A Space Odyssey so resonant to me? In purely cinematic terms, Stanley Kubrick's visual stylings can hardly be matched. 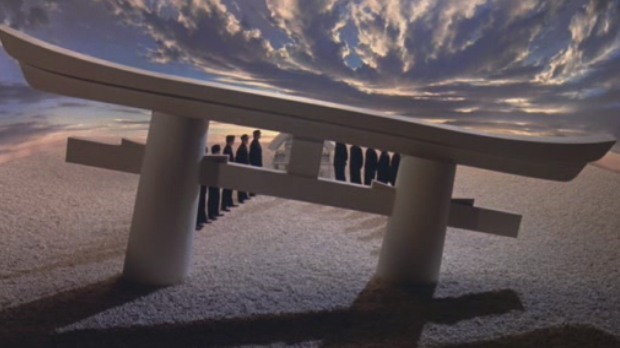 His mise-en-scène is as deliberate and controlled as the coolly futuristic architecture he navigates, and his steady arm knows exactly how long a scene should progress. The use of classical music, most notably (and famously) Richard Strauss's Also Sprach Zarathustra creates an operatic sonic landscape that reverberates through the vast planes of space. It's a movie that trusts its inhibitions, one that fully lets its images do the speaking. And its visual effects, revolutionary for the time, are still as robust and gloriously naturalistic today. But what makes the film one for the ages is just how grand in scope it is. Very few films, if any, can claim to be working on such a massive universal scale as 2001. It is a purely visual film, a testament to the powers of the moving picture, and it uses its devices to examine an epic, winding timeline of life. From the monkeys at the beginning to the bone that morphs into a spaceship, to a diabolical machine named HAL 9000 and the weakly humans who challenge him, to an old man in a sterile room looking up at a giant monolith, and finally, to the birth of a star child that will perhaps carry on the cycle innumerably; Kubrick's space-aged masterpiece discovers a compendium of time and space in a way our linear lives just can't experience. Metaphysical, mystical, scientific, mind-expanding, 2001: A Space Odyssey remains a film well ahead of its comparatively archaic times.